Stock # E1105841, 4.8L Vortec 1000 V8 SFI Engine, Automatic, 104214 mi. This 2014 Chevrolet Express Cargo Van is proudly offered by Coles Automotive Your buying risks are reduced thanks to a CARFAX BuyBack Guarantee. The Chevrolet Express Cargo Van is exactly what you would expect out of a Chevrolet. It's decadently opulent, meticulously engineered and unapologetically grandiose. 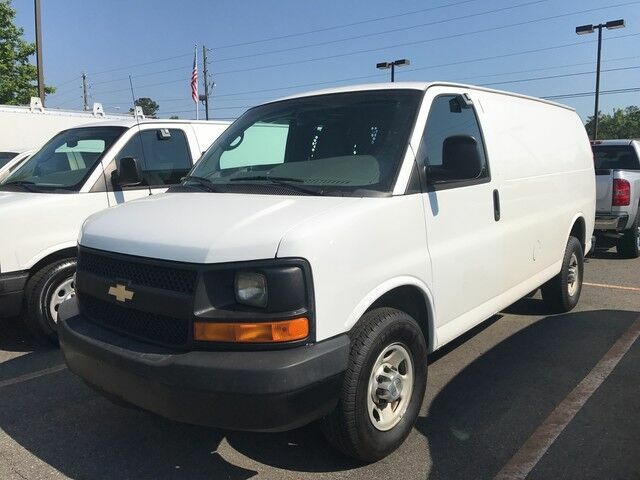 This Chevrolet Express Cargo Van is in great condition both inside and out. No abnormal "wear and tear". Surprising quality accompanied by a high level of performance...this Summit White on Neutral Chevrolet Express Cargo Van could end up being the perfect match for you.